DokuWiki is wiki software aimed at small companies documentation needs. It works on plain text files and thus needs no database. It has a simple but powerful syntax (similar to the one used by MediaWiki) which makes sure the data files remain readable outside the wiki and eases the creation of structured texts. Installed from upstream source code to /var/www/dokuwiki. Created admin user and group. Granted authenticated users with upload privileges. 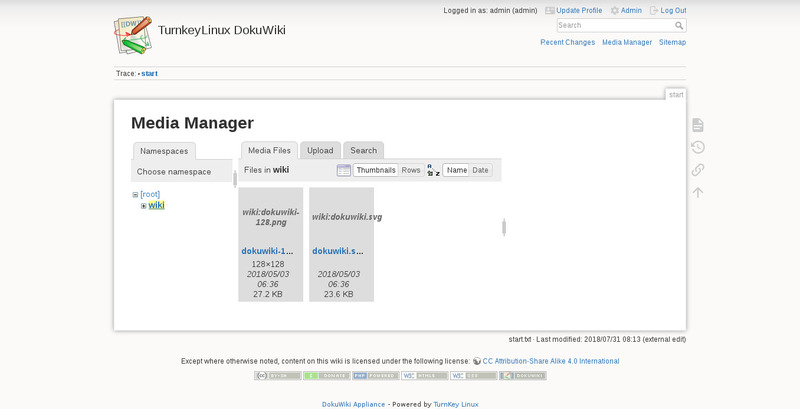 Includes upgrade plugin (and relaxed permsissions) to support WebUI DokuWiki updates. Fixed permissions for Configuration Manager plugin. Clean URLs out of the box. 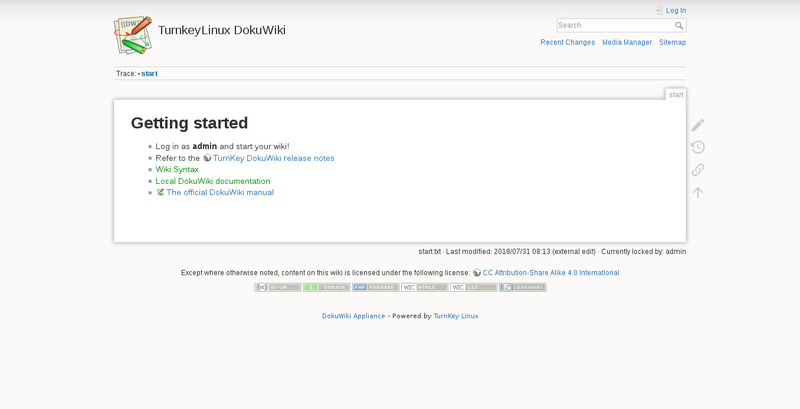 Security note: Updates to DokuWiki may require supervision so they ARE NOT configured to install automatically. 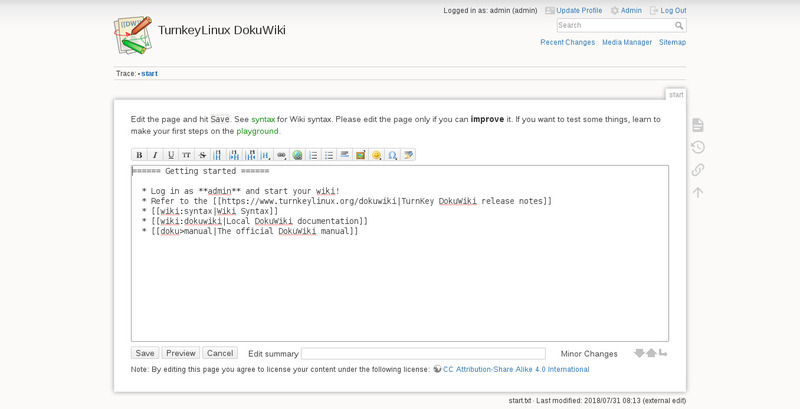 See DokuWiki documentation for how to upgrade, either manually, or via the upgrade plugin. For additional security, DokuWiki permissions can be "locked down" - for details please see the relevant doc page. Webmin modules for configuring Apache2, PHP and Postfix.